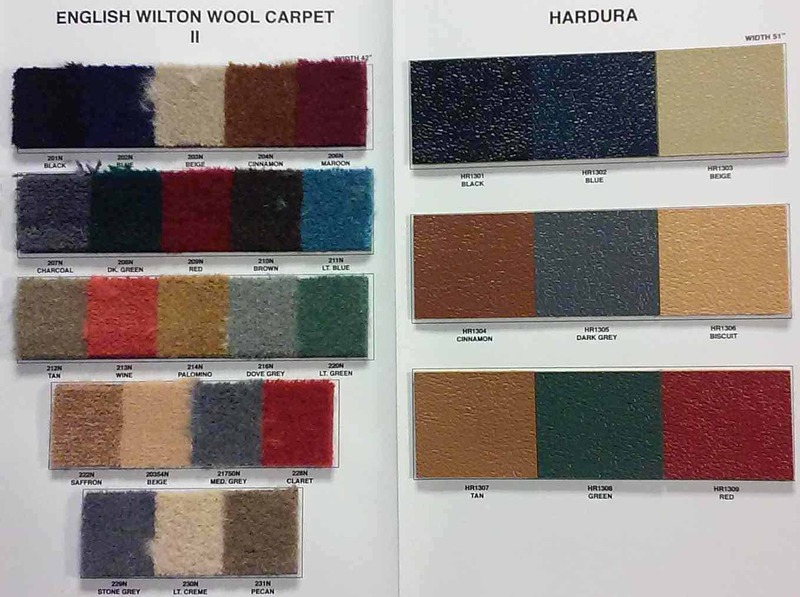 Concours Interiors uses nothing but the finest materials: AutoLux Leather, Wilton Wool Carpet, Mercedes German Velour and a variety of English Wool Broadcloth. Most vintage specialty materials can be located per customer's request. 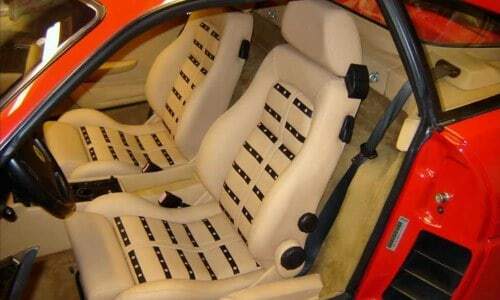 In early times there were three leather manufacturers that supplied Ferrari Motorcars: ARBO Tan, Connolly and Franzi. 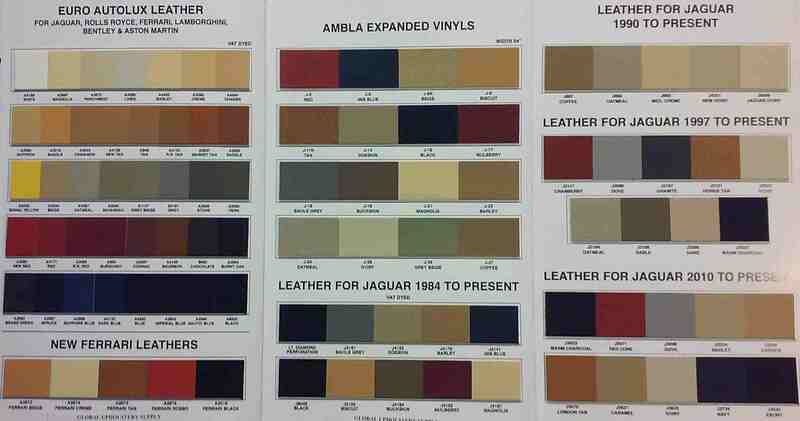 Arbo Tan Leather was used in some of the 50’s Ferrari’s but stopped supplying Ferrari after a few years. Connolly however maintained its role and succeeded in becoming the reference supplier to the car industry as well as Jaguar, Bentley, Rolls Royce & Aston Martin. The early Connolly Vaumol and Franzi leather had a thickness of approximately 1.3 - 1.4 mm and felt a bit harder than the leather used in modern cars. 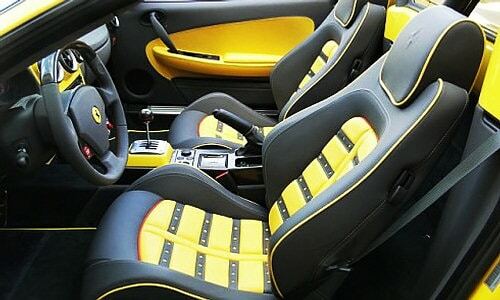 The leather used by Ferrari was made in the Luxan grain, the crushed grain and the classic grade with its darker pores. Later on, the leather factory started to make Autolux Leather. To save money this leather was made a little thinner than Vaumol but it was VAT dyed. Fullgrain hides were used to make Vaumol and Autolux Leather. The town of Kidderminster, Worcestershire, lies about 20 miles southwest of Birmingham in the English industrial midlands. It has been a centre of weaving for many centuries and in the mid - late eighteenth century began to specialize in new forms of carpet weaving, rightfully coming to be called the carpet capital of Britain. The historic Stourvale Mill on Green Street was built in the early 1850's under the guidance of Henry Woodward, who had started his company in 1790, and who was joined by Benjamin Grosvenor to operate the first steam powered carpet mill in Britain on the site. The firm of Grosvenor Wilton Company Ltd. remains the major weaver of Brussels and Wilton carpets, and is the only firm with a complete design archive extant that covers over 200 years in business and over 10,000 patterns. J.R. Burrows & Co. are the agents in the United States for historic designs from this archive, which is marketed as the "Stourvale Mill Collection." 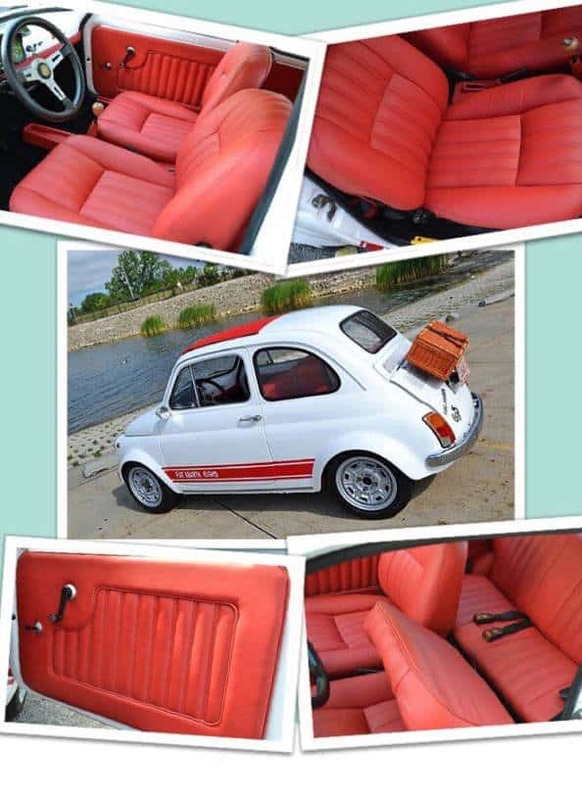 Vintage Fiat Abarth Complete AutoLux Leather Interior Restoration.